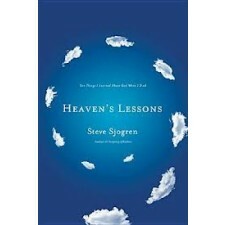 Based on the book description, I had assumed that this book was mainly about Steve Sjogren’s near death experience (NDE). It is not. Each chapter begins with a very brief excerpt from his NDE which becomes a launching point into the topic of the chapter. Basically, this book consists of ten spiritual topics that the author learned from his NDE. The topics are only interrelated because those are the areas in which Sjogren was most impacted. It was an easy read but it didn’t seem like the book really connected as a whole. On the other hand one can take any one chapter as a personal devotional reading or inspirational reading without reading the whole book. In my perspective, the bottom line is that “Heaven’s Lessons” simply doesn’t offer anything unique or different than what is already out there in numerous sermons or devotional readings. I would rather have simply read more about Sjogren’s NDE than his sermonizing about it.